So I was right, the zoo - along with a super patient and helpful sister in law...and some cheetos - was all my kids needed to snap out of their funk yesterday. While at the zoo, Connor seemed more interested in the water features than the animals themselves. And Isla only seemed happy when looking at the animals. When we were walking, she would fuss. 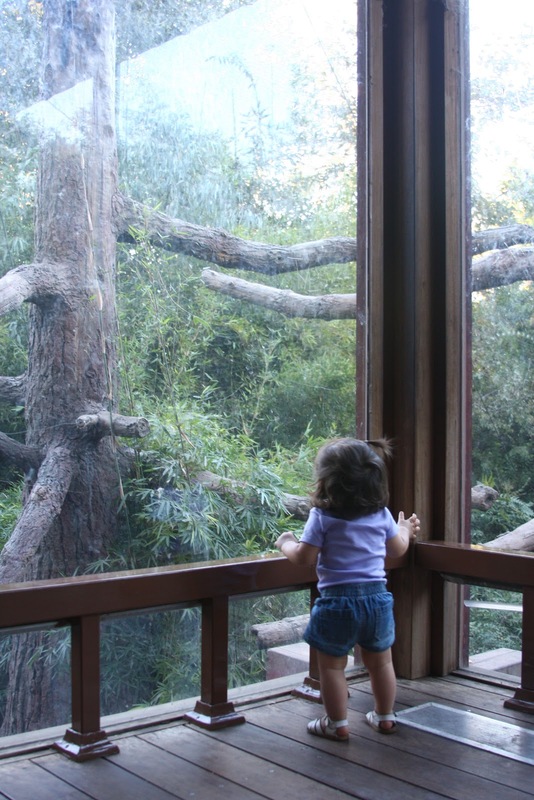 But when we got to the next exhibit, she was happy to stare away at the animals. 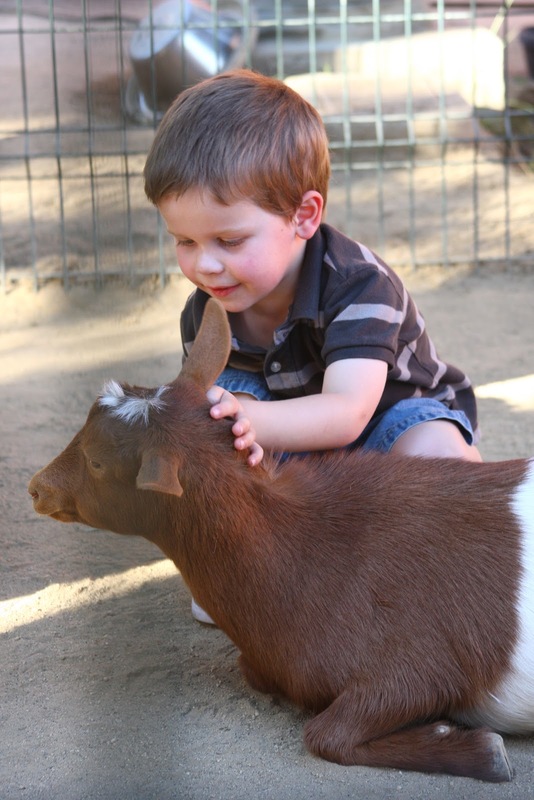 Petting zoos are always a big hit with Connor. He got all up close and personal with a few of the animals. He carried around a brush for the animals the whole time he was in there, but I never once saw him brush an animal. I let Isla watch safely from outside the fence. I didn't think she was ready for the responsibility of keeping her hands out of her mouth while being around all that filth. My sister in law ran Connor all over the zoo and did a wonderful job of tiring him out. His favorite part seemed to be the tunnels/caves that the reptiles were in. I am pretty sure he would have stayed in there all day. Alas, we made him move on so we could see more. I didn't get any pictures, but Connor made friends with a little girl at the zoo. She looked to be about 4. He hugged her at least 10 times. It was embarrassing and funny all at the same time. More so because I was trying to stop it and the little girl said to me "It's okay. He can hug me as many times as he wants." On the way back home to my parents, both kids crashed within seconds of being in their car seats. Being the nice mom that I am, I refused to allow them to sleep and made them wake up as soon as we got there...I wanted them to actually sleep last night! And sleep they did...it was beautiful, refreshing and needed all at the same time. And in case you care to check out my post from the last time we went to the LA Zoo. 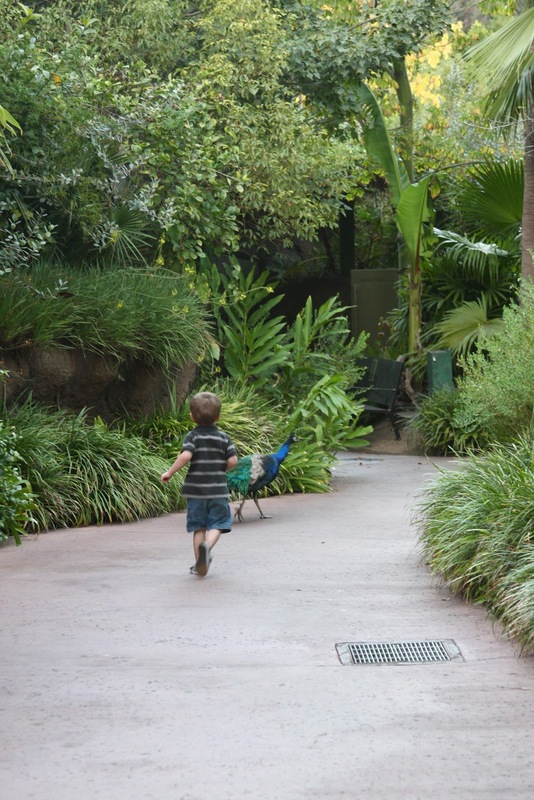 aw, I would love to help chase your kids around the zoo! Jordan and I went to the Lincoln Park Zoo on Sunday and it made me yearn for a munchkin of my own, a little tot who would be wowed at all the animals. So sweet! I love the two photos of Isla, first as she's staring into an exhibit and then as she's showing her baby adorable belly. That's sooooo sweet about Connor and the hugging!